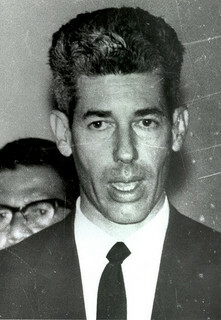 Fabio Castillo, one of the student leaders of the civic strike in El Salvador in 1944; seen here in 1967 as a presidential candidate. Courtesy of the International Center on Nonviolent Conflict, via Flickr. Ecuador is in the news these days for its embassy in London giving sanctuary to Julian Assange, the Wikileaks founder, who is in danger of extradition from Britain and prosecution in the United States. Ecuador, in fact, has a long history of defying the U.S. empire. Few people remember that the country once defied the U.S. by joining a wave of nonviolent campaigns in 1944, as the Second World War was coming to a close. U.S. embassies at the time were trumpeting President Franklin D. Roosevelt’s Four Freedoms, his ideological justification for the war. The irony was that, among the series of U.S.-backed dictatorships in Latin America, even one freedom was subversive, much less four. El Salvador initiated a five-country wave of resistance in April, when army officers launched a military coup against U.S.-backed dictator Maximiliano Hernández Martínez, who had held power for over a decade. He’d done the usual things: censored the press, outlawed dissident parties, targeted labor activists and peasant organizers and set up a secret police force. In 1944, it was reasonable to think that only a violent rebellion could destroy the regime, and a conspiracy emerged to do exactly that. Martínez put down the military revolt. He then hunted down anyone he thought might have been involved in the plot, and a bloodbath began. Workers, market women, teachers, doctors and many others joined the rapidly growing strike. The regime floundered. They knew how to squash a violent revolt, but didn’t know what to do with the student-led nonviolent campaign. Martínez’ order to arrest the student leaders was followed inefficiently by the police. Martínez denounced the campaign as a movement of the rich, but everyone could see that it drew from all classes. After police opened fire on students and killed one of them, more Salvadoreans joined the campaign’s demonstrations. Several cabinet ministers resigned, and Martínez saw the end coming. On May 7, he resigned, and soon left the country. Although the students knew how to bring down a dictator, they did not prepare a nonviolent defense against the pushback from Salvador’s 1 percent. After a summer’s maneuvering, in October the oligarchy backed a military coup against Martínez’ successor, and a new dictator was installed. In neighboring Guatemala, university students caught the wave of resistance. Their president, Jorge Ubico, was known as “the Iron Dictator of the Caribbean.” His secret police were especially vicious, but Guatemalan students were not willing to be outdone by their Salvadoran sisters and brothers. When the students backed up their June strike with a demonstration, they underscored their nonviolent strategy with the tactic of marching with their arms behind their backs. That night, police beat, shot and arrested hundreds. Women reinforced the nonviolent discipline by holding a silent, peaceful march. Troops fired at the march and killed a woman, the movement’s first martyr. As with the aftermath of repression in El Salvador, the death of María Chinchilla Recino brought out the masses in Guatemala City. The economy shut down. The “Iron Dictator” found his base fleeing from him; at the end, only the army and the U.S. ambassador remained loyal. He had no choice but to resign, and he did so on July 1, 1944. On July 4, Hondurans were ready for bolder action, and, as in Guatemala, it was led by students and women. The movement then escalated its nonviolent tactics two days later. The movement’s leadership, aware of the minimal casualties in El Salvador and Guatemala, was not prepared for the massacre that the Honduran troops then unleashed. Despite estimates of deaths ranging from 20 to 144, Hondurans’ indignation didn’t translate into mass action. Fewer turned out for the next series of protests, and Carías was able to ride out the storm without resigning. Then, in late June, Nicaraguan university students held a demonstration in solidarity with the Guatemalan students, who were at that moment trying to defend their victory against the oligarchy’s pushback. Opponents to Nicaragua’s own dictator — the notorious Anastasio Somoza — were already testing the ground for a strong nonviolent campaign. Unfortunately for them, Somoza correctly recognized the power of labor unions and had been courting them ever since he took office in 1936. Although some workers joined the June campaign, Somoza was largely successful in limiting the movement to the middle class. That limitation ruled out the tactic of the general strike that proved so successful in El Salvador and Guatemala. The campaigners also confined themselves largely to rallies and marches rather than reaching for a broader range of nonviolent tactics that middle-class people could do. The campaign made headway when some government ministers resigned and two newspapers attacked by the regime went on strike. Still, Somoza’s pillars of support remained largely intact. A much bigger portion of the 99 percent participated in Ecuador, and that made all the difference. Ecuador’s President Arroyo del Río had not co-opted organized labor in his power base. When the pro-democracy movement erupted there in 1944, it included workers and middle class people campaigning together. The nonviolent campaign began the day after an armed, conspiratorial attempt to launch a coup against del Río. In the evening of May 28, a group of military officers revolted, capturing members of the police and burning their barracks. At the same time, civilians attacked businesses owned by del Río’s allies. The civilians then found themselves under attack by loyal elements of the army; the civilians fought back violently, and there were casualties. The next morning, after this violent curtain-raiser, the nonviolent campaigners surged into the streets: women, students, Indians, peasants, intellectuals, lower ranking military personnel, Catholics, Communists. The campaigners encircled both government buildings and the presidential palace in the capital city of Quito, demanding del Río’s resignation. The students took over the duty of traffic police. The growth of a general strike even included a peasant strike. By the end of May, the dictator was finished. This 1944 wave of Latin American pro-democracy struggles had ripples in other countries as well. The people were up against dictatorships sponsored by the 1 percent and backed by the U.S. empire; it’s remarkable that of the five major nonviolent campaigns, three won their immediate objective. In two of the three overthrows, the nonviolent campaign won after a previous violent revolt had failed. In one of them, the first move by some of the rebels was a night of violence, but the majority of the people realized it would take what we now call “people power” to win, and they were willing to fill the political space with nonviolent tactics. All this happened in 1944, well before the analysis of Erica Chenoweth and Maria Stephan showed that nonviolent struggle for regime change is twice as likely to succeed as violent struggle. The Latin American campaigners intuitively knew back then that it made sense to use nonviolent tools when they risked their lives for freedom. It’s very satisfying to see scholarship — and radical politics — finally catching up with the tradition of popular wisdom in nonviolent resistance that is many, many centuries old. At the same time as today’s activists are discovering we have more of a legacy than we knew, however, we can’t overlook our own responsibility to innovate. The civilian insurrections that have overthrown dictators sometimes lack staying power because the movements don’t know how to defend their gains. And the focus on the top of the political structure — the regime — can ignore the deeper changes a society needs for liberation and community. As encouraged as we are to learn that nonviolent struggle can often beat violence, we still have much to learn to achieve a living revolution. America and the first word in the article is Ecuador. Ecuador however is not considered to be a part of Central America. It’s not clear from the article to what extent those nonviolent actions in the countries mentioned can be considered to have been directed at the US which was at the time fully engaged in WWII. In some cases such events were manipulated to bring about changes in the elites and not necessarily an attempt at bringing about lasting change to improve living conditions of the majority. In one case, the Somozas stayed on for another 34 years and the country was in ruins in 1978 when the Sandinistas came to power. Can one imagine the Somozas negotiating change with groups promoting non violence? Insurrections and coups have not lead to changes in the political and social systems nor improved living conditions in those countries which are still some of the poorest in the Hemisphere. Thanks for giving us a glimpse into what was happening in what the US at the time considered to be its back yard. With more research more will be known about a very sad chapter in the social history of Central America. While it’s of course true that Ecuador is not part of Central America, there’s evidence that people there were influenced by the 1944 wave of campaigns that mostly happened in Central America, and I didn’t want to leave out the inspiring struggle of Ecuadoreans. It’s too easy to forget that when we activists take the risk of acting boldly, we often inspire others to do likewise even if our particular campaign does not succeed in the way we hope. That’s why in the Global Nonviolent Action Database we highlight various “waves” — in Asia, in Latin America, in Africa, in Europe. Even when we act in our specific context, it’s good to remember that, as Dr. King kept emphasizing, none of us is an island. I appreciate Mario Salzmann underlining the point I make in my column’s last paragraph: coups and insurrections can’t do the deeper work of fundamental change, even if they are nonviolent. We don’t want to overlook the breakthrough fact that nonviolent action is “a force more powerful” against dictatorships — that fact remains news to many activists. 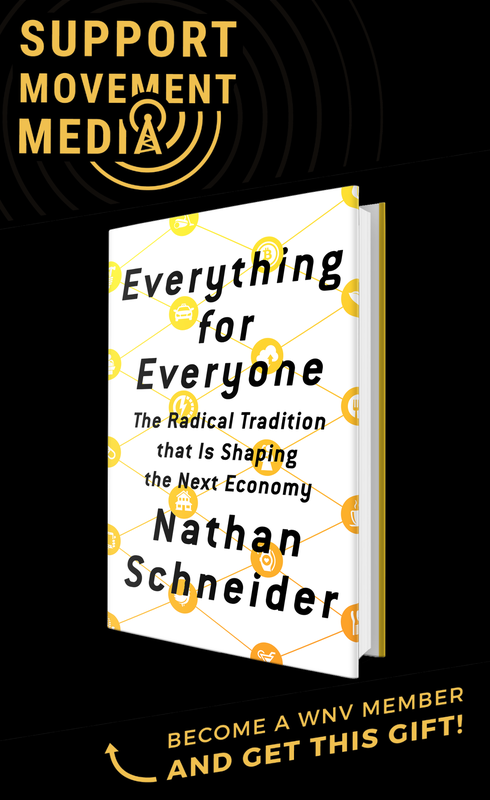 But behind that fact, as friend Salzmann says, is the longer and tougher challenge of creating a strategy for a social revolution. My book on that subject is being released in England this week: “Moving toward a Living Revolution.” The framework in it gives specific help to those who want to go beyond regime change. Another great article by George Lakey on the power of nonviolent resistance – in Latin America. I look forward to reading George’s new book. I am a writer in San Jose California and am writing a novel about Guatemala in the 1940s. Quick question: Is it true that the teacher martyr Maria Recinos Chinchilla was never married.